Highlights of the conference on creativity & technology. 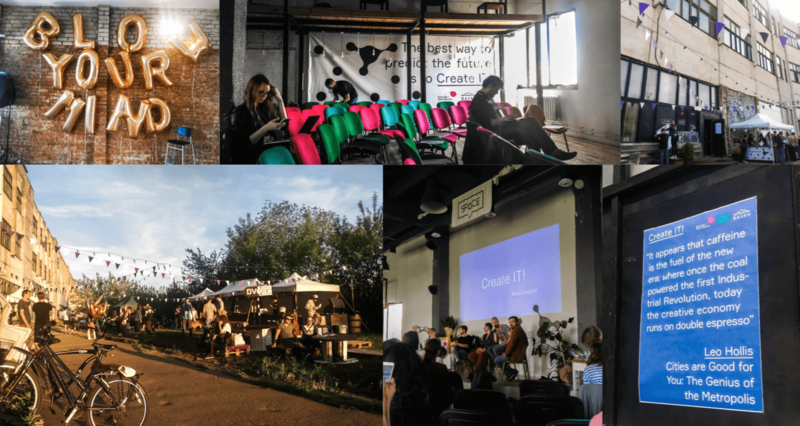 “The best way to predict the future is to create it” — this idea was a core inspiration of “Create IT” conference, dedicated to creative industries and modern technologies. 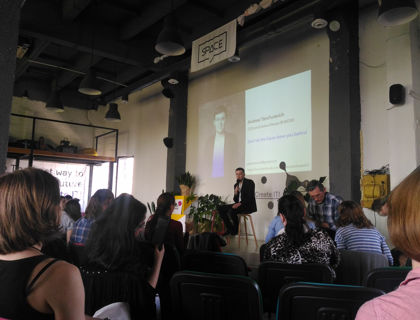 The conference was held on May 19th in "Eventspace". Having taken part therein, we brought inspiration and new ideas to the team. Our short review is devoted to the theses of the conference.. The conference was opened by Tim Williams, the leader of the EU-Eastern Partnership Program "Culture and Creativity". He spoke about rapid growth of the number of microprocessors and advancement of technology. Tim also shared his philosophical predictions about development of culture and technology by 2050. According to his views, the world departs from a system when an individual is competent in one sphere. We are moving towards a world in which everyone will be a multi-disciplinary professional. Thus, the sphere of creative industries is the sphere of the future. 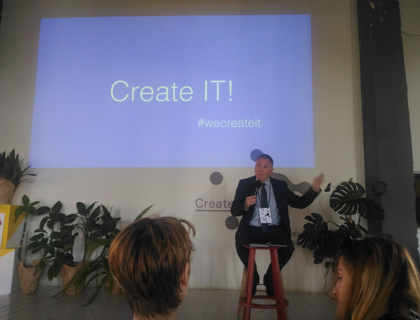 Andrew Erskine, an expert at Tom Fleming Creative Consultancy, started his speech with the definition of the "creative industry" - a term, which is connected with advertising, architecture, art, film, music, television and other sectors. Creative economy is based on how people use their creative thinking and imagination, so creative industries are the main driver of innovation. What moves creative industries today? Job. The nature of our work is changing, we are striving to create a sufficient number of jobs. Creative industries are precisely the sphere in which creation of new competencies is growing rapidly.. Global trends. For example, growing popularity of cryptocurrencies, environment protection, etc. Digitalization. Everything that has not yet entered the digital sphere will soon be there. The real potential lies in digitization of what is not digital yet. Increasing fragmentation. What was previously represented in a "single" copy or a limited number can now be copied and distributed, as well as personalized to suit the needs of specific small groups of users. Combining knowledge from different spheres. People with different skills and knowledge come together to create new products. Users. Users. The needs of users are changing rapidly. And end users are the key engines to creative industries. Culture and creativity — in scope of cities (not countries)! This is indicated by cultural and creative tourism, understanding of ecology and integration of various organizations and institutions within the city. Julia continued the conference with a story about the hybrid space. This was the success story of the project #nevicata14 — an experimental pedestrian configuration of Castello Square in Milan. The project attracted public attention, received support and was successfully implemented. #nevicata14 is the free space of Castello Square with the equipment for public use of the area: various types of seats, structures protecting from the sun, platforms for public events, lighting elements, signs, toilets, etc. Everything is supported by a functional wi-fi service, a website that provides easy access to all active services, social channels that allow maximum dissemination of content and communication with the residents. #nevicata14 has a system of services — physical and digital — to support the use of the area: calendars, applications, lighting technology, media library, integration with major service platforms of the city. #nevicata14 is a project at intersection of architectural, communication, technological and social solutions. Process of creating the project identity. Results of implementation of the project identity. Jill is the executive director of Europeana Foundation. Europeana is the European digital platform for cultural heritage. Since 2008, they digitized several million pieces of different cultural heritage sites across Europe. Europeana is available in three languages — French, German and English. Open data of high quality. Europeana cooperates with more than 3000 museums, libraries, galleries and institutes throughout Europe. Frameworks and API. The project offers an API for data handling in order to develop projects in the field of creative industries. Inspiration. 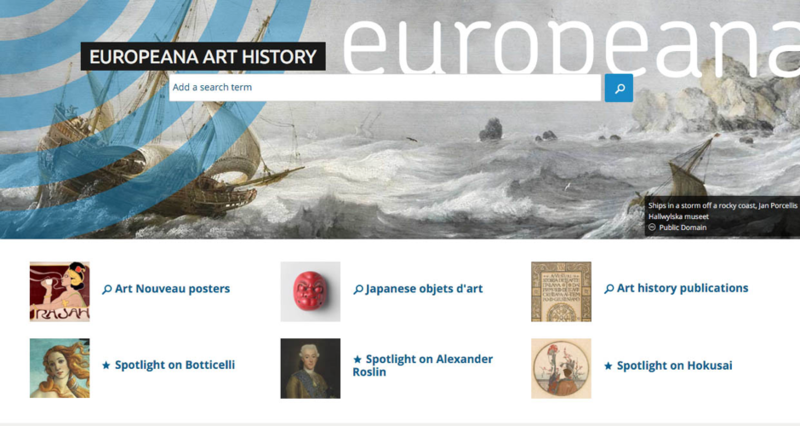 Europeana contains a large amount of data in the field of art and culture to inspire people around the world. Arek represented TUMO, the center of creative technologies in Armenia. Established in 2011, today TUMO offers more than 100 different types of self-study activities, more than 3000 workshops per year, more than 120 classes for training. TUMO is sometimes called Alternative Yerevan. The center provides training in four fields: animation, game development, web development and digital media. Attention is also paid to dancing, sports and music. Lessons in compulsory discipline are held twice a week. A training course is two years long. The main center of TUMO is located in Yerevan, in 2013 a center in Dilijan was opened, in 2015 — in Gyumri, as well as in the city of Stepanakert in Nagorno-Karabakh. From this video you can learn how the TUMO center looks like inside and how the classes are held, hear the feedback of students and teachers. See works by TUMO students on the official YouTube channel. Andrew Yanchurevich is a creative director at MSQRD and Contractor Producer at Facebook. The main idea of Andrew’s speech was “do not let the future leave you behind”. At the Q&A session, Andrew was asked about MSQRD application, which, according to the speaker, was used as an emoticon for communication and sending messages. Emoticons are used for emotional coloring of the text, so, this comparison seemed strange for an application with masks. Andrew replied that, having analyzed user preferences, they understood what people actually use the application for — for communication. Therefore, partnership with Facebook and integration of the functions into the messenger was the best solution for all parties. Gunita is the founder and CEO of Vividly App — VR tool for visualizing interior or design of buildings. The presentation was not focused on Explicit App or its success story. Gunita tried to convey the main idea — Your company is YOU. Gunita shared the idea that real creators are the people who want something so badly that they can't sit still. In any case, you need to try and do — You win or you learn. Gunita also actively participates in various conferences, holds presentations and speeches. In one of them, she talks in detail about possibilities of virtual reality in architecture. In addition to lectures, the organizers arranged a few workshops. For example, you could go learn creative coding, visual experiments in the form of glitch, developing business models at the junction of culture and technology, or managing cultural organizations and creative people. Unfortunately, they all took place at the same time and you could attend only one. We chose for ourselves a workshop mysteriously titled "Expansion of Reality". It was dedicated to Virtual Reality and 360° video. 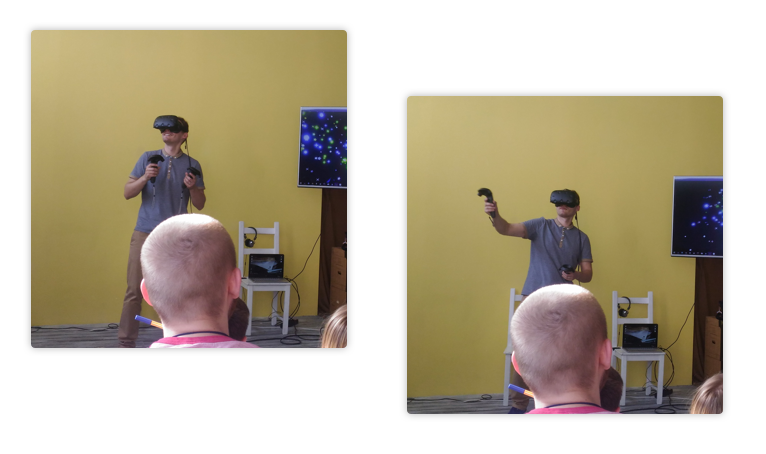 Dmitry Sorokin, founder of the Virtual Reality Gallery in Minsk, was conducting the workshop. He began with the history of VR, spoke about the first achievements of the age of as early as 1960s. Camera + Smartphone. But this is 360 ° video, not a full-fledged virtual reality yet. The metaverse. To create and view special helmets are needed. Companies like Tvori, Lytro, Otoy and 8i are dedicated to such content. At the workshop you could watch a movie created in virtual reality or try to create it yourself. It looked exciting. This is a completely new environment, VR can take us anywhere. But why are we still not in there? Apparently, it is the matter of cost. No doubt, helmets will become cheaper, but still are far from taking the place of a TV in each family. But there is another unobvious problem that hinders spreading of VR. And it is not tools or a lack of developers. The problem is the lack of a visual language for virtual reality. For example, we all can imagine how a menu looks like in mobile applications or games. Usually it contains icons and text. But you cannot make it that way in virtual reality, all objects around are similar to real objects, rather than to flat icons. Virtual reality is not just for games. It is actively used by accessory and fashion designers, artists. It is great for designing and sketching in architecture or to show first sketches to the customer. There are comics in VR, where you can go through the frame and get into the world of the character. Even serious filmmakers do not pass by new technologies. This year in Cannes a film by Alejandro Gonzalez Iñárritu in virtual reality was shown for the first time. And those who happened to see it believed that they were watching the future of the cinema. In that way, step by step, VR will penetrate into our life. Now this language is just emerging, but it is even more interesting to observe the development of such a mysterious virtual reality.